Where do I begin? My heart is so full, I don’t know if I have the words to do the events of this weekend any justice. 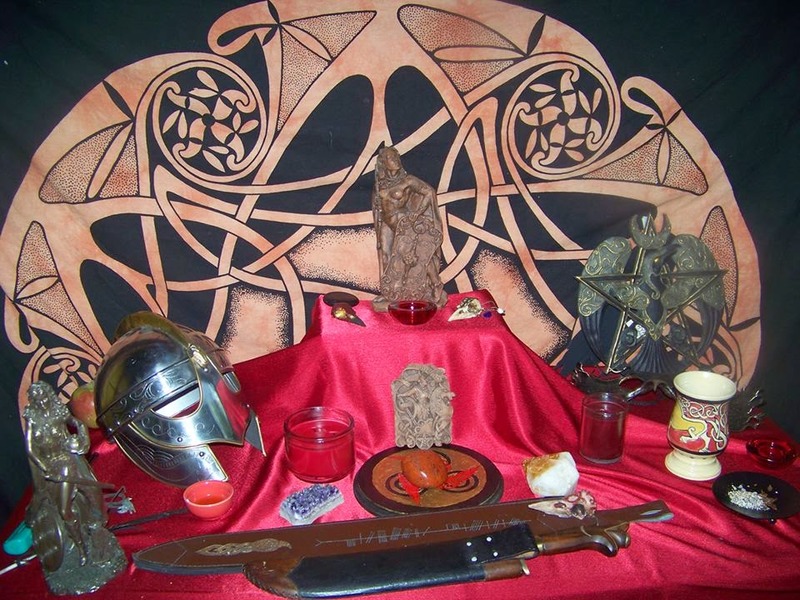 I suggest reading Morgan Daimler (http://lairbhan.blogspot.com/2014/06/the-morrigans-call-retreat-dedicated-to.html) and Ed Rickey’s blogs (http://jetblackwings.blogspot.com/) about The Morrigan’s Call Retreat. Their thoughts do it better justice than I will here, but planning this event has been a part of my life for over six months and I feel I must write something. There was a certain sadness in leaving on Sunday. I get this way after packing up and leaving from other festivals, but this time it was particularly sharp. I went to work the next day feeling oddly out of place, clutching my coffee and doing mundane things. As I walking into work a crow calls out not far away. It’s voice both harsh and beautiful. I felt its call echo through me, and I thought to myself “I know that voice.” And I smiled, I know the Morrigan is always with me, even here. At my desk I think that only hours before I had been in ritual garb, spear or sword in hand, covering in battle paint, telling stories with friends, teaching workshops or listing to the workshops of our wonderful presenters. I connected with old friends, made new ones, got to spend time with many of my Sisters, most of whom live many hours (or a plane ride) away, and together we honored the Queen. As I do my work I remembered the feeling of Her sword pressed up against my skin and the oath I spoke while a friend acted as Her vessel in a private moment in the temple we created together for Her. I think of the Washer at the Ford, and kneeling at her cauldron, of the messages spoke on that first night of ritual work. The Great Queen’s tribe gathered, her ravens, her children came together and it was amazing to see. And I think of our last ritual, of singing Mama Gina’s Ruby song, and how we truly came together as a Tribe throughout the entire weekend. I feel changed. It is amazing how often I have said that in the course of a handful of years. So much has happened, my life has taken so many interesting changes, never the ones I expected but sometimes what the Gods have in store for you is far better than the futures we imagine for ourselves. The Morrigan has been an ever present force in my life, and I didn’t think I could feel closer to Her, but I do. And that is what Morrigu’s Daughters has been about since the very beginning. People from all paths coming together to honor Her. And that is what we did, through workshops, three amazing and intense rituals, creating a temple in Her honor, and simply coming together and opening our heart to one another. The sense of kinship and Tribe was beyond words. I can only say my heart is overflowing. Good blogging. Thank you for posting.